If you follow me on Instagram, you know I wore this weeks ago. And not to a fancy party or New Year’s bash, I wore it on a regular Sunday afternoon to go watch football or some other sport (clearly I was just there for the wings). Sometimes, a company sends you a c/o item and you pick out something ridiculous and then have nowhere to wear it, so you wear an actual muppet on an un-extraordinary day. And you know what? I’m gonna do that more this year. Never save a great outfit for a perfect occasion when that occasion might just be life. Brain Stuff: I got in a bad slump last year of zoning out in front of screens. This year, I want to be more active in my downtime. I’m planning on pulling out my piano and doing a refresh course, reading at least 20 books (as opposed to the four or so last year), and sitting down with Mr. AJ for more board games and puzzles in the evening instead of rewatching The Office for the 10th time. Body Stuff: I really fell off the workout wagon in 2018. My Peloton has sat relatively unused by me (Mr AJ continues to kill it, of course), and the gym that’s so conveniently located downstairs wouldn’t be able to pick me out of a lineup of one. More spin, more yoga, and more outdoorsy stuff like hikes and walks this year. And if my PT is reading this, I promise I’ll do my knee exercises at least once a week. Time Stuff: Embrace the power of “No.” I said yes to a lot of stuff I didn’t feel like doing last year, and it resulted in me feeling stressed and annoyed. I tend to feel selfish when I say no, instead of thinking of it as self care or preservation. This year, I promise to not overcommit myself to a bunch of stuff I hate. Shoe Stuff: I will find the perfect pair of black flats this year if it kills me. Travel Stuff: I only have one trip planned right now, but I’d like to get away as much as possible. Definitely planning another international trip this year - Italy? Portugal? Germany? We’ll find out. 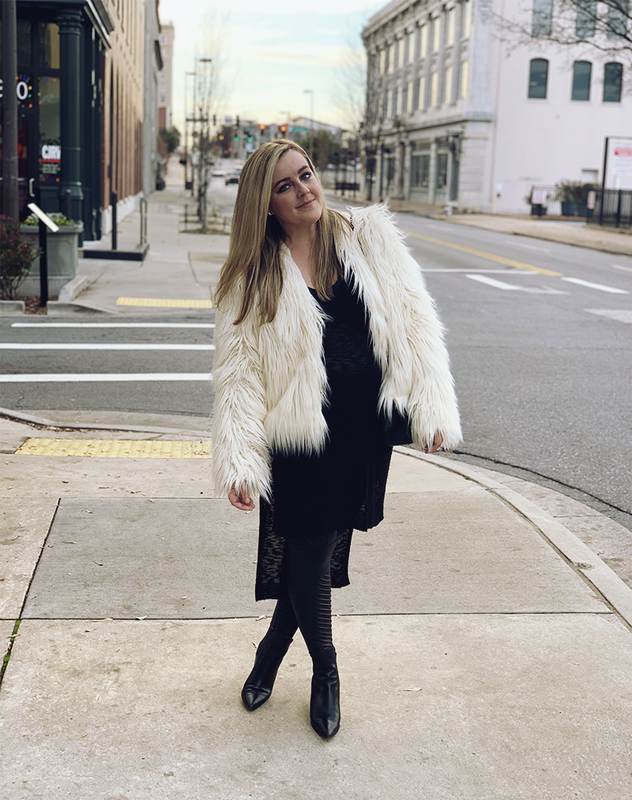 Coat, c/o SheIn (exact - get 15% off with code Q1ajwears15). Sweater, Express (similar from Halogen). Boots, Kendall + Kylie (exact). I'm not gonna lie, I've never understood the whole "festival" style thing. My first "festival" was Warped Tour circa 2000, where I wore an Eyeliners tshirt and Chuck Taylors, and almost got crushed to death from crowd surfers coming over the barrier when I was on the front row of NOFX (for the record - I was just there because I wanted to be front row for Something Corporate, duh). It was not fussy. It was not flower crowns and wedges and bodysuits. WHO THOUGHT BODYSUITS WERE A GOOD IDEA? You are probably going to the bathroom in a porta-potty. Plan accordingly, ladies. 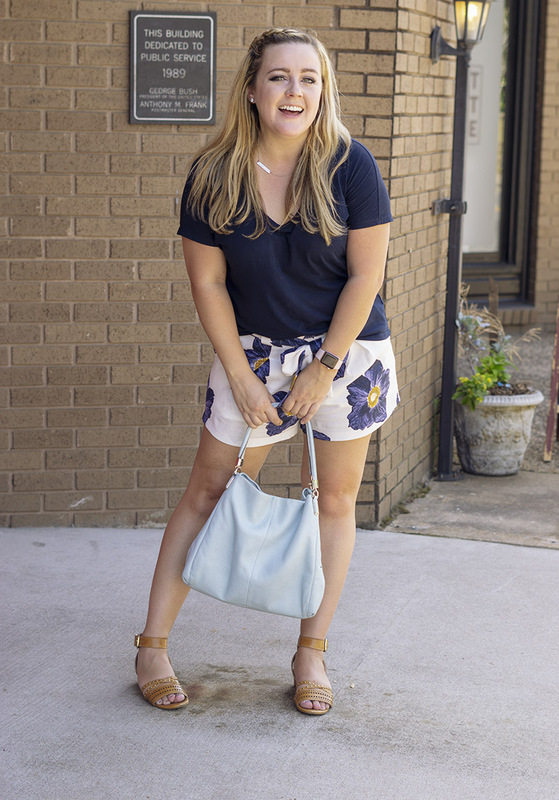 Rompers are not your friend. 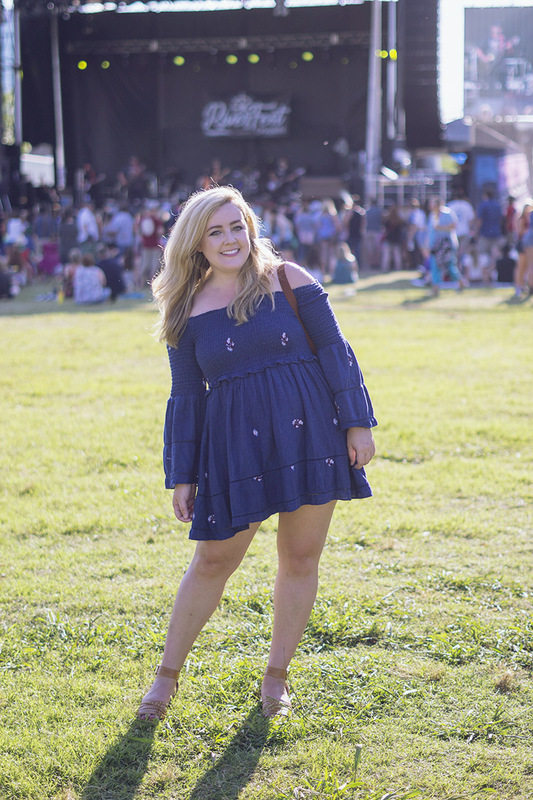 That being said, I saw this dress on RTR and thought, "Hey, that's a good outdoor concert dress." And in theory, it was. I felt cute and for the most part, I was comfortable. Sure, it was like 90 outside and maybe sleeves were a little ambitious but in the shade it was fine, and my shoulders let the heat out. That's what I'm telling myself, anyway. I'd also like to apologize to the dry cleaners at Rent the Runway. I'm sure you deal with a lot and I did not help you at all with that. Dress, Free People via Rent the Runway (exact). Backpack, Longchamp (exact - review coming soon!). Sandals, Sole Society (similar from Forever 21). Oh, and also - I'm going to start reviewing my RTR rentals with whether or not I'd buy the pieces. This one? TOTAL buy! It comes in white and red too!